Modesto Home Value information! We make it really easy and convenient to receive the information you are looking for. 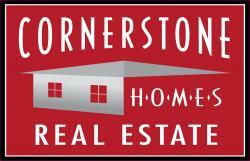 If you are thinking about selling your home in the near future, or if you are simply interested in finding out how much your home is worth in today’s market, Cornerstone Homes can do a Comparative Market Analysis of your home. A Comparative Market Analysis compares your home through the basic appraisal methods used in a “Market Sales Comparison approach”. This is the type of appraisal that is done when you are selling your residential property. This type of appraisal is done by a Licensed Real Estate Appraiser, Licensed by the Bureau of Real Estate Appraisers, and is much more thorough than the report we will give you. The report we will prepare for you is done with the same basic methods to determine market value with the added benefit of “Buyer desirability factors”. Which is determined by our years of experience working with Buyers. We can give you a range of value based on internet sales & the information you give us over the phone or for a more accurate estimation of value we can visit your home at no cost or obligation to do a visual walkthrough. This is also really important to determine if there are any property condition issues that may affect the lenders ability to finance your property. Thank you for your interest in allowing us to work with you, I will be available to answer any further questions you may have.